Or else be drawn into my latest fangirl crush! Okay, I admit I am 30 years old, so no longer 'supposed' to fangirl crush anyone. I remember my days of going totally, maddeningly bonkers over The Backstreet Boys and Boyzone... Man, those were the days! I had all their albums, knew all their songs by heart, could sing them in my sleep, too, probably. And I haven't had this feeling in a looooong time. 14 years, to be precise. What happened, you ask? I discovered him! 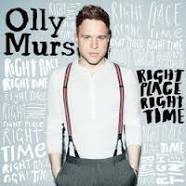 Olly Murs. Runner up on the 2009 edition of X-Factor in the UK, though I never heard of him before his recent single Troublemaker hit the UK Top 40. While I had loved his voice and style, I didn't start crushing on his voice even after Army of Two came out (that one reminded me of early Robbie Williams with a Jamiroquai vibe), and I found Hand on my Heart one day on Youtube (find this on the soundtrack to Eternelles here). Then his latest hit the charts. Dear Darlin'. I was hooked! Tumbled me right through an utter fangirl crush and I just had to get every Olly Murs song available. Currently pulling my way around knowing all 3 of his albums by heart. *grin* Yes, when I fall, I fall all the way! So, you might wanna know what/who I'm talking about? Then take a listen. You won't be disappointed! Dear Darlin' - the song that broke my heart...and inspired a scene in the upcoming Eternelles book, Indomitable, between 'my' characters, Adri and Des. A little something I found on the Olly Murs VEVO channel on Youtube. Behind the scenes in making the video for Dear Darlin'. And the one with the early-Robbie Williams with Jamiroquai vibe - Army of Two.